Relationship between allergies and carpet cleaning in Redmond,Wa. Majority of allergy sufferers find themselves experiencing serious allergic reactions when inside their own houses because of poor indoor air quality. This poor quality indoor air can be as a result of fungus, mold, dust mites, chemicals, dust, or even pollen that has been tracked in from the from outside taking up residence in your house. One among the likely places for these allergens to live in is in the carpets, where they settle and get trapped. 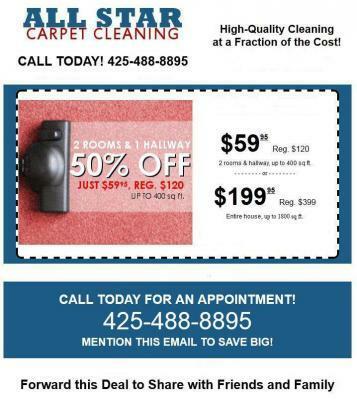 So what’s the relationship between allergies and carpet cleaning in Redmond,Wa.? Some people with serious allergies or asthma may be advised by their doctors to get rid of any carpeting in their house since it’s such a cause for concern because of its soft and absorbent nature. However, the fact is that carpets that are deep cleaned and maintained well are simply safer than hard surfaces because the carpet acts like a filter asthma and allergy sufferers are better off with carpet than without. If you suffer from allergies you need to steam clean your carpet more often. Cleaning your carpet can help get rid of allergens that irritate those suffering from asthma and allergies. They can even stop allergy development. For instance, those who are exposed to moldy carpets for extended periods can develop allergies and become even more sensitive to the mold in their environment. Cleaning your carpet helps prevent this onset of allergies. I hope that explains the relationship between allergies and cleaning carpet in Redmond,Wa. Besides the benefits for asthma and allergy sufferers, thorough carpet cleaning makes a carpet look beautiful, last much longer, and get rid of any odors that get trapped in it. Now, even though it’s a good idea to regularly vacuum your carpet as a matter of hygiene, regardless of whether any of your family members has allergies or not, it’s a known fact that vacuuming alone won’t actually clean down deep into your carpet no matter how powerful or strong your vacuum cleaner is. The only way to really get rid of the allergens in your home is to use a steam cleaning machine to deeply cleanse your carpets, and that’s where we come in. We are experts in this field, and we own a truck-mounted steam cleaning machine that will help remove any particulate matter from deep-down fibers which are impossible to remove with standard vacuuming. So, contact us today, and let’s help you get rid of these allergens from your home for a healthier life style.